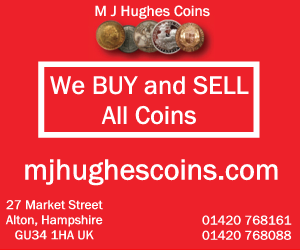 British coinage has a long history. The Royal Mint itself was formed well over 1100 years ago, but in this article I am going to describe the current coinage and the coins of the century or so before that. The basis of the UK currency is the Pound Sterling (GBP £). The UK, Great Britain and England, Scotland, Wales and Ireland. As a side here I’ll explain to those outside of the UK that I am English, I am British and I am from the UK! Most people use the terms synonymously, but in a nutshell Great Britain is the combination of England, Scotland and Wales; the United Kingdom (UK) is Britain plus Northern Ireland. The four countries are very proud of their own nations. These days, we tend to use Britain rather than ‘Great Britain’. Ireland, as in southern Ireland or Eire, is a separate country and separately part of the EU. I mention this because there are sometimes regional variations in designs, although the money is legal tender in all the UK countries. The UK is (currently) in the EU (European Union) but is not part of the Euro currency and is unlikely to be, ever. Since decimalisation on 15 February 1971, we have £1 = 100p, that is One Pound = 100 pence. All coins carry the head of the monarch, Queen Elizabeth II. Inscriptions are in Latin and will contain various phrases such as Regina (Queen), Dei Gratia or D.G. (by the grace of God) and Fidei Defensor or F.D. (defender of the faith). The reverse has many different designs, some change frequently and may show national, the regional variations or emblems of England (3 lions), Scotland (lion or thistle), Wales (dragon or leek) or Ireland (harp). The Pound is still colloquially called a ‘quid’. The £5 and £10 notes are known as ‘fiver’ and ‘tenner’ respectively. One Penny: The least denomination coin currently in circulation. Copper (actually copper plated steel). Two Pence: A larger copper coin. Five Pence: a small cupro-nickel coin. Resized in 1990. Ten Pence: cupro-nickel coin. Resized in 1992. Fifty Pence: larger heptagonal cupro-nickel coin. Resized in 1997. One Pound: made in nickel-brass and introduced in 1983 to replace the £1 banknote (coins last longer than notes) although Scotland made £1 notes for a while after this. Diameter 22.5mm, weighs 9.5g. A new 12-sided one-pound coin was released in 2017. 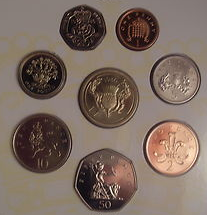 Two Pound: a bimetallic coins introduced in 1998 (although the first are dated 1997). Half Penny: launched in 1971 but demonetised in 1984 when inflation made it near worthless. 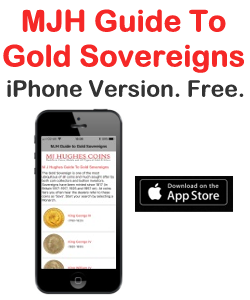 Crown: not in circulation but is legal tender, crowns are released as commemorative issues at random times. Originally 25p, the crown was re-denominated to £5 in 1990. Common Banknotes are £5, £10, £20 and £50. In September 2016 the Bank of England started a switchover from paper (linen) to polymer (plastic) notes. Decimalisation was on 15 February 1971. Prior to that the currency was more-or-less unchanged since Victorian days. Even in 1971 you could be lucky enough to find a worn Victorian penny in your pocket; it was the same size as the Elizabeth II one. One old penny = 0.417 new pence. In the decimal switch-over, some coins became equivalent, for example 2 shillings was the same as 10 new pence; 1 shilling was 5 new pence. It was written as £sd for Pounds, Shillings and Pence (d was from ‘denarius’, the small Roman coin). 2 shillings and 8 pence would be written as 2/8 or 2/8d. We would say ‘Two and eight’ or ‘Two and eightpence’. Two shillings alone would be written 2/-. Adding up long lists of prices would certainly test your mental arithmetic, so school kids learned tables up to 12 times to help penny calculations. Before 1920, Silver coins were actual sterling (92.5%) silver. This was reduced to 50% silver and in 1947 no silver at all was used and cupro-nickel became standard. Penny: 1d. a large copper coin. HalfPenny: copper coin. Pronounced ‘ape-knee’. Threepence: 3d, pronounced ‘thruppence’ or ‘threpney-bit’, 12 sided in brass. Before 1936 it was a small silver coin, colloquially known as a ‘Joey’. Sixpence: 6d. Silver, Known as a ‘tanner’. Shilling: 1/-. Silver. Been around since 1706. Shillings are known as ‘Bobs’. Two Shillings or Florin: 2/-. Although the coin is officially a Florin it was rarely called by that name; most would say ‘a 2-bob piece’. Half-Crown: 2/6. As the crown was more as a commemorative coin, the half-Crown was effectively the largest denomination coin in existence and around the war years would carry considerable spending power. My Dad used to say about the 1950’s as an ode to 80’s inflation: ‘I remember when you could go to the pictures [cinema], buy a packet of fags [cigarettes], have a couple of pints [of beer] and still have change from half-a-crown’. He could too; today you would need £20 or more. Half-crowns were referred to as ‘half-a-dollar’ as in the 1940s there were four US dollars to the pound, so a crown (in face value) was effectively worth a dollar. Banknotes took the higher values – 10 shilling, £1, £5, £10. The Farthing (quarter penny) was withdrawn in 1960. The Victorians had half, third and quarter farthings. The Victorians also had double-florins (4 shillings) and Groats (4 pence). Most of the coins were the same size and design from the Victorian era to decimalisation, so you can get pennies and shillings with the following monarchs: Victoria (1837-1902 as young, jubilee and old head), Edward VII (1901-1910), George V (1910-1936), Edward VIII (abdicated 1936, dies made but coins not in general circulation), George VI (1936-1952), Elizabeth (1952-present). Succeeding monarchs head face the opposite direction by tradition.